LEON COUNTY, Fla. — Across the country communities are faced with what some say is an epidemic when it comes to opioids. 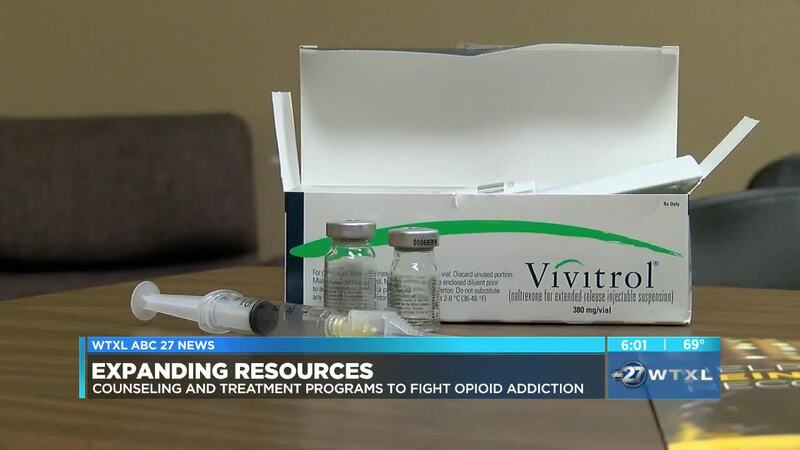 A Big Bend organization is expanding programs to help people in our area fight addiction and stay clean. DISC Village started providing counseling and opioid treatment options in Leon County at the end of 2017. Now, the organization is going into Jefferson, Madison, Taylor and Franklin counties working closely with the jails to focus on helping inmates. DISC Village has been using two drugs to help wean opiate addiction. The goal is to help smaller rural areas fight the epidemic with as many tools as possible. "It's certainly going to be more presence in the jails, more counseling services in the jails, a warm hand-off when they lead. What I mean by that is when an inmate is discharged from a correctional institution that they're set up with a counselor, so they can continue counseling if they want to go," said Patrick Lane, Nurse and Counselor for DISC Village. "They know where to go if they want to continue that counseling." Since DISC Village started its opioid treatment program, the organization has treated 90 patients and given more than 300 injections.